Great for small businesses, bloggers, and portfolio or project websites. More throughput, more memory, more features. Support multiple websites. High performance hosting for advanced needs and businesses with numerous websites. Need help determining which plan is right for your website? We’re here to help. Give us a call at 1-866-976-9835, or start a chat. Webnames.ca is a certified Plesk partner and proud to run a hosting environment. Plesk offers the most complete, secure and versatile hosting control panel and platform on the market today, powering more than 11 million hosted websites. With its intuitive control panel and centralized access to everything you need, managing your hosting has never been easier. Why Choose Webnames as your Web Host? Our servers, databases and offices are all located north of the 49th parallel. This ensures your data is protected by Canada’s privacy laws against legislations like the US Patriot Act. Your domain and its future renewals are included with plans of 6-months or longer. All hosting plans support unlimited subdomains and give you full control over your A, CNAME, TXT and MX Records, TTL changes and more. Need a content management system or online store? We have you covered with our included apps. Install WordPress, Joomla, Drupal and others with just a single click. Save costs by hosting up to 5 websites on our Advantage plan, and up to 10 websites on our Pro plan. Our multi website hosting is ideal for webmasters, web designers and owners of multiple web presences. Choose from over 100+ pre-built templates and easily drag-and-drop your content to create a professional website. Free with our Advantage and Pro plans. Plesk Onyx comes with a website backup program that can be scheduled to run automatically, ensuring that your work is saved. Every Webnames hosting plan receives enterprise-level DDoS protection.This means if your website, or our website, gets hit by an unforeseen Denial of Service attack, you’re going to stay up and running, business as usual. All WordPress websites are regularly scanned to block malicious activity, preventing malware, exploits and attacks before they occur. Secure your website and encrypt sensitive information with an SSL Certificate. Installation is easy with our built-in SSL management tool, or we can install it for you free of charge. Need help setting up an SSL certificate, or backing up your website? Every member on our award-winning team is extensively trained to provide you with thorough, dedicated, one-on-one help via phone, email or chat 7-days/week. With nearly 20 years of experience hosting websites in Canada, and an A+ Better Business Bureau rating, you can trust Webnames with your online presence. 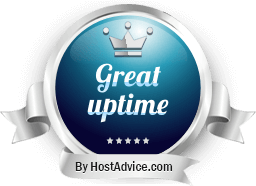 Webnames.ca is proud to be a HostingAdvice expert-approved host. Read our review on HostingAdvice.com. Want to move your website to Webnames hosting? Our technicians will move you over, set you up and ensure everything is running smoothly. 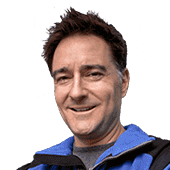 “Webnames.ca continually blows me away with their services and customer support. Have your Domains & Web Hosting somewhere else? Transfer to Webnames.ca!" How are domain names and web hosting connected? A domain name and a hosting plan allows you to create a home for your website online. The domain acts as a the address that allows people to find your website, while the hosting creates the foundation for it. Will I pay more to renew my web hosting plan? No, the cost to renew your plan remains the same and will already include the free domain name and email services. While there are benefits to hosting on the cloud, it is important to know who has access to your information. As a Canadian web hosting provider, all our hosting servers, databases and offices are located north of the 49th parallel and are only subject to and protected by the strict privacy laws of Canada. This ensures that data stored in our servers are protected from foreign laws and programs that may attempt to gain access to information without our customers' knowledge or consent. Read more about the benefits of hosting your website in Canada. Which website hosting plan is right for me? Value Plan: Great option for anyone creating a personal website. Advantage Plan: Businesses that have robust needs, or for anyone that wants to build their own website, the Advantage Plan supports up to 5 websites, a free domain, multiple email addresses and access to our website builder. Pro Plan: Our most powerful solution, the Pro Plan was created for businesses with large teams, robust needs and stringent requirements. The Pro Plan includes 50 email accounts, a free domain name, website builder, unlimited databases and can support a total of 10 websites. Find out how to choose the right plan for your website. How do I activate my plan? You can activate it by simply logging in and going into the account management page. From there, simply select your domain name and activate your web hosting package. View our step-by-step guide here. Each of our web hosting plans include free apps like WordPress, Drupal and Joomla that you can install with a single click of a button. How easy is it to use the free website builder? Our website builder uses themes and templates so you can quickly build a website on your own. You can add content and features to it by using the drag-and-drop editor. What does unlimited hosting mean exactly? The term "Unlimited" is commonly used by the hosting industry to denote that your website(s) will be provided as much storage or bandwidth as they need. Unlike many hosting shared providers, Webnames partition our servers equally. When someone signs up for a hosting plan, they get allocated their own section of a server dedicated entirely to them, and them only. If a hosting customer maximizes their allocated space, they can simply request additional storage from Webnames' Customer Support team as per our As Much As You Need (AMAYN) policy. Read more about What Unlimited Hosting Means and How It Works and refer to our Hosting Terms and Conditions for complete details. * All web hosting plans with terms of 6 months and longer include a free domain. Your domain will renew free of charge for the duration of your hosting plan Valid extensions are: .CA, .COM, .NET, .ORG, .INFO, .BIZ, .CLUB, .CLICK, .ROCKS .LINK, .ONE, .PICTURES, .SPACE, .WORK, .XYZ and .FUTBOL. *** The 30 day money back guarantee applies to only to the first 30 days of a plan's.